If experiencing the calls of the wild is on your bucket list, then I invite you to join me, in some of the most unspoilt sacred space in South Africa. Have you ever dreamed of talking to the animals of Africa? Would you like to come home to your True Nature and remember who you are wrapped in the warm, embrace of Mother Africa? • Journeys on Ancient Soil™ is a profound passage to connect you to the heart of what truly matters. This is a soul journey that celebrates the divine feminine Goddess within. Earth Deva and the animals will activate a deep sense of inner peace, joy and stillness within every fibre of your being. • During this 5 Star luxury “heart? safari, we’ll adventure into a deep, intimate, energetic synthesis of communion with wild animals, in ethically sustainable eco tourism. You will follow your own inner compass and track new footprints to create your future. • Magic happens when nature embraces you and the sentients circle, forgiving, present, supportive, generous, and inviting you back to a space of hope – a rite of passage for all life on this beautiful planet. • You will remember what it means to be alive by reconnecting to your Diamond code blueprint through your 8 senses. 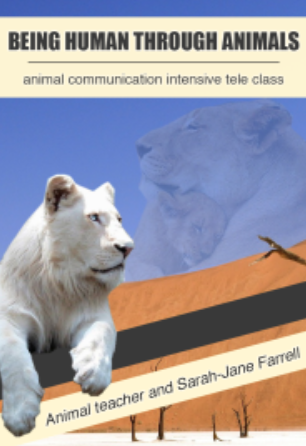 You will practice tracking your divine path with intuitive communications – Combining animal communication, skills practice, silent game drives, walking meditations in the wild, individual mentoring and relaxation time. Once Africa gets under your skin, your whole life will change forever. • This is a full bodied immersion of the 8 senses, an adventure of a lifetime you will not want to miss! • Deepen your connection with the natural world by seeing into the lives of wild animals and through the tracks they leave behind. • Enter the flow of the ancient medicine wheel and through direct communications with the animals and nature herself. Through the wisdom of Ancient Soil™ and the sentients of Africa, you will get on “track? with your own life purpose, your unique gifts and talents and you will know just how much your contribution matters. You’ll be given ample opportunity to play with your intuition in the field during silent walking meditation, adventures and open-vehicle game drives. All under the expert guidance and facilitation of Sarah-Jane and our professional rangers at Singita Lebombo/Sweni in the Kruger National Game Reserve. Getting to know the wildlife intimately takes the concept of game-viewing to a new and profound level of adventure, empathy and awareness. For it is only when each one of us heals the old woundings within, that we can create a sustainable, thriving future for all creatures great and small and for the planet itself. You’ve been told what to do your whole life: in school, work, and relationships. You have forgotten that you can ask questions and give yourself permission to say yes to you. In your heart you know there is more to life than this. You sense a disconnect from your body and know that if you take the step towards whole living for yourself,– the freedom to be the best version of yourself, that you will inspire others back to choice. If this sounds familiar, join us for a Journey on Ancient Soil™ Connecting to Your Heart – Transformation Adventure Retreat. 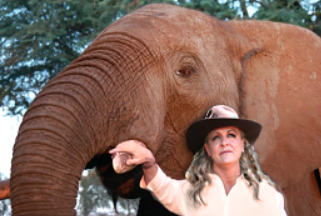 “I did a 10 week being Human through Animals – inter species communication and bodywork online class with Sarah-Jane in 2013 and knew that I had to answer the call to Africa and come out and experience a Journey on Ancient Soil™ for myself. When my feet touched the ground at Singita it was like I knew it on a spiritual level. It truly was a re membering from the dark night of my soul to the joy of knowing exactly what I am here to do. Words cannot express what changed on such a deep level for me. I am beyond grateful for the many insights and gifts I received from the animals, from the land and from Sarah-Jane’s intuitive processes. I leanrt to love myself, met the man of my dreams 6 months after returning home and have my first book coming out at the end of the year” — Lorraine Emmerson, Hobart New Zealand. Let the courage of the lions and the ancient wisdom of the elephants, the gathering of the buffalo herd support you in this 8 year of standing in your personal power and true nature. Come and find your inner peace by spending a few delicious days — in an intimate group of no more than 12 people — with the sentients as teacher along side Sarah-Jane, your personal mentor and creator of the popular Being Human through Animals workshop. Let the stories and experiences of the local trackers and guides tell the story of their African roots, in one of the most magical places in the world: Singita Lebombo/ Sweni private Game Reserve in South Africa. On this magical ancient soil, you’ll find that Nature and the sentients have been waiting for you. Waiting to show you the way back to your heart centre – where inner peace, true purpose, and Diamond shine have been all along. I love leading these journeys on Ancient Soil™ at Singita – one of the most untouched, enchanted places left on the Earth. Each sacred moment I have the privilege of being here, I am transformed at a deeper level and reminded just how much more heart there is to give, in all of us. To be the quiet observer of such profound shifts and deep transformation my clients experience and to watch them come home to their hearts, is truly the greatest gift of all. • Twice-a-day game drives guided by local animal trackers—you’ll see lions, cheetahs, hippos, leopards, elephants, zebra, giraffe, rhino and just about any animal, bird and insect that you read about as a child. • First-class 5 star luxurious accommodations and gourmet meals in the heart of the African bush. • Personal life coaching and animal communication sessions with Sarah-Jane, in an intimate group setting of no more than 12 people. • Powerful, funny and endearing story telling by your hosts at Singita over star light dinners. • An on-the-ground walking meditation and animal tracking session with your experienced guide to turn inwards to tracking your own life path. There’s nothing like a steaming pile of elephant dung to put life into perspective! • Heal yourself from the inside out and pay it forward through your support of eco-tourism, anti poaching and education of grass roots communities. Together we can be the change we want to see for a sustainable, thriving planet. • The courage (lion heart), confidence (meercat) and inspiration (leopard) to take flight and see with total clarity (fish eagle) your big vision – who you are and what you are here to do. The perspective to get your life on track in the grand scale of things.To return to trust in yourself, in others, in life and in the Universe. • Empowerment to create healing change in every area of your life, through forgiveness, vulnerability, honor, trust, gratitude and allowance – to let go of old limiting patterns, beliefs and self judgment. 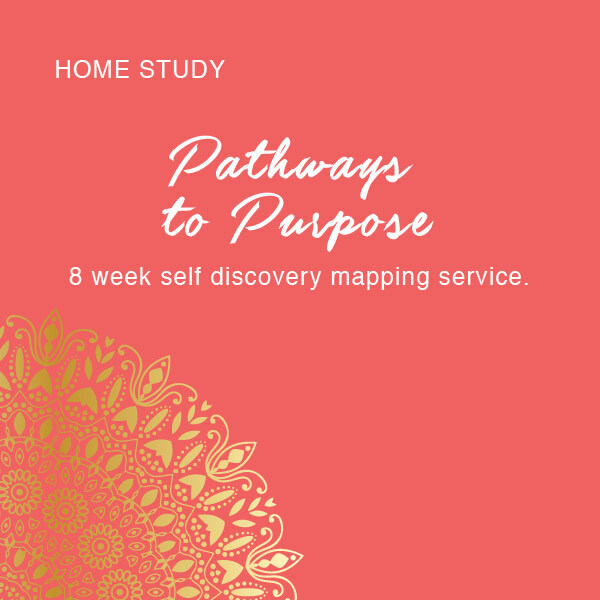 • The ability to flow through the natural cycles of life consistently by using the ancient medicine wheel and compass directions, so that you live fully present and engaged in creating your best life. • The awareness of just how inter connected you are to all life across species and a deeper awareness of your intimate relationship with the earth, the elements, animals, and plants that are your True Nature, your tribal roots. • A greater sense of belonging and the possibilities of living with hope beyond fear and judgment – for your own future and the future of all. The knowing that this is greater than all of us and that your contribution matters! Singita Lebombo Private Game Reserve in the Kruger National Park, South Africa. Untamed, breathtakingly beautiful, and infused with the energy of spectacular wildlife including the Big 5, Singita Game Reserve is a world-class ecotourism destination, that will bring you back to the heart of your true nature. Visitors here experience deep fertile connections and personal interactions with the ancient soil and animals, birds and insects that call this home. Their ability to give, to nurture so generously and embrace the people who visit here, is breathtakingly rare and incredibly sacred heart space – this is Mother Africa. The lodges in Singita Kruger National Park were built on the promise to “touch the earth lightly?. 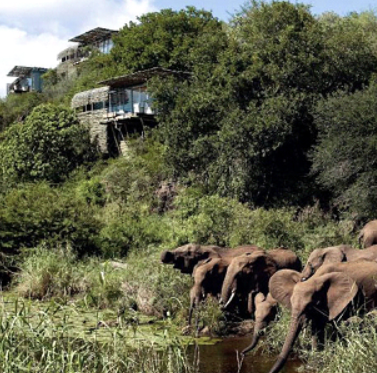 This commitment has been manifested in the way the lodges were constructed; how they operate today; and how guests experience the wildlife and the natural habitat. Singita Lebombo suites have been designed around the concept of an eagle’s nest, allowing for elevated views over the Kruger National Park , the rocky outcrops of the Lebombo mountains, and the area’s trademark Euphorbia trees. Singita Sweni, on the other hand, lies close to the Sweni River. This tranquil sanctuary is built on stilts with decks of dark timber, giving it a grounded feeling of being integral to nature. 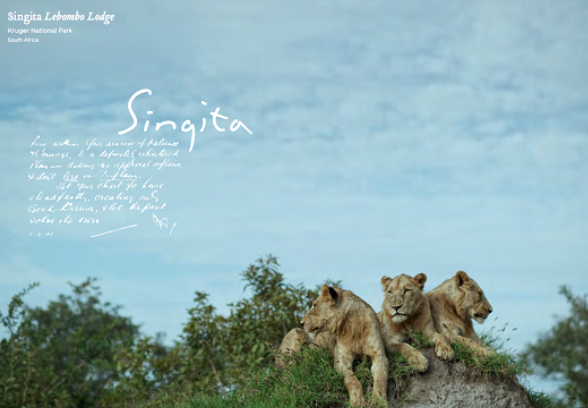 Click here to download the Singita brochure. • A rare opportunity to be personally coached by Sarah-Jane in an intimate group setting of no more than 12. • Luxurious accommodations at Singita Lebombo/ Sweni for 6 days/5 nights. • Three world class meals a day plus beverages (including award winning local wines, spirits, liquers and beers). 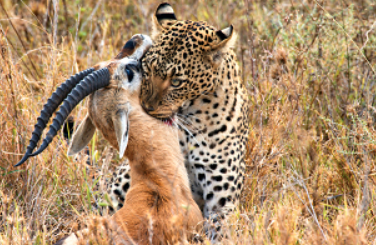 • A minimum of 10 game drives, led by local and experienced guides and trackers, during which you’ll see spectacular wild animals and bird life in their natural habitat. • The opportunity to help heal ecosystems— the net profits from the Journeys on Ancient Soil™ goes towards The Ground Hornbill and Endangered Species projects. Space is limited to a maximum of 12 people, depending on occupancy requests. There will also be a group skype call for all interested parties – time and date to be advised in July. Want to linger longer and explore more of Africa while you are here? 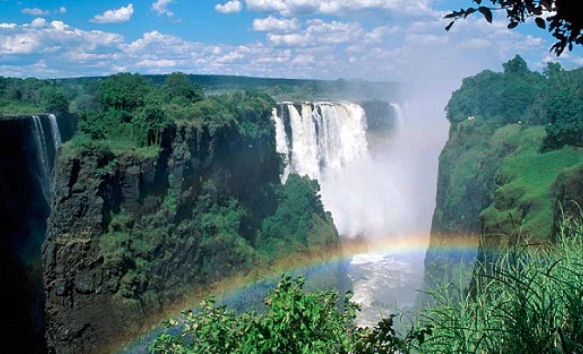 The 7 natural wonders of the world include Victoria Falls or Table Mountain,Cape Town. 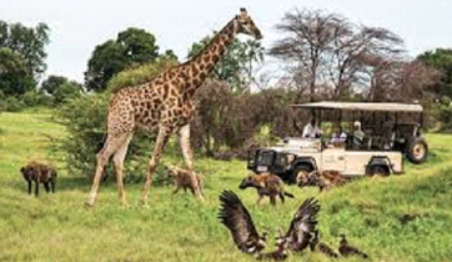 Travel by Arrangement has extensive experience helping travelers visiting Africa and Singita. Cheryl Walker E-mail: Cheryl@travelbyarrangement.com or Lisa Morrison E-mail: lisa@travelbyarrangements.com will be happy to help you with additional flight, hotel, or add on excursions. You may contact either of them at +27 11 794 4900. My incredible friend and highly experienced safari guide Lloyd Camp will take care of all your specialized tours like meeting the Gorillas in the Congo or watching the migration in the Okavango delta. Contact Lloyd at lloyd@magalena.co.za or tel: +27 72 921 2632. This special retreat package is only $7500. To hold your space send $500 deposit to Farrell.sarahjane@gmail.com via Paypal. If you cancel on or before July 30th, 2018, you will be refunded the registration fee paid less a $500 administration fee. If you cancel between August 1-31, 50% of the registration fee paid will be refunded. No refunds will be issued for cancellations received after January 31, 2018. *Note: Air travel to Johannesburg and gratuities are not included in the registration fee. Meet your extended “tribe? for your stay that are here to welcome you home to your heart and the place of miracles. “Tea? does not accurately describe the afternoon meals at Singita. You’ll activate your taste buds with an exotic blend of traditional South African teatime treats and nourish your soul. 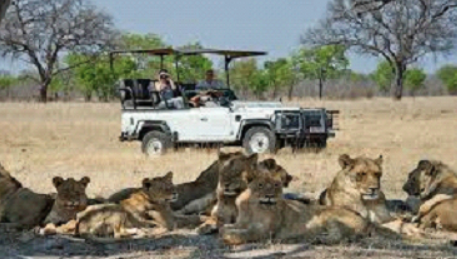 We will whisk you off in an open land rover in to the bush veld, leaving any stress and jet lag behind. You will know that you are home as you lean in to the gentle embrace of the ancient soil. This is the invitation to unburden and receive the magic of your story becoming the story of Africa as you meet and connect with the wild life that inhabit this magical place. 5:30PM: Put down roots, settle in and unwind. Join us for your introductory session over cocktails at sunset with the occasional visit from the elephants at the watering hole. Here we will set the intention for your personal journey. A gastronomic feast will be served under the stars and we will integrate and process what came up for you on the game drive. From there we will deep dive in to who you are becoming and what is standing in your way. After dinner drumming meditation and purification in the fire prepare you for rebirth – like the phoenix rising from the ashes. Creating mental white space as we drive towards your core desire and activate your multi sensory intuitive process. You will practice the art of deep subtle inter species communication from adrenalin down, learning up and meet your animal guides. Through the field of resonance you will enter the space of surrender and total receiving, peace and inner calm. 10:00 AM: Breakfast and Morning “Being Human through Animals Inter species communication Session. You will receive private verbal clearing and activations within the group session by Sarah-Jane and learn an easy way to integrate and use the processes long after you leave the safari retreat. It is so important to listen to your physical body and take time for rest, reflection and integration. The long haul travel taken to get you to this place, topped with the fresh air, African sunshine and a slower, more natural rhythm can sometimes be a shock to your body, so self care in the form of a cat nap, a massage at the Spa, journaling or quiet time on your private deck is a welcome necessity. 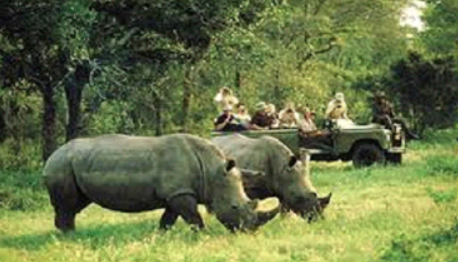 On this game drive, you will merge with the heartbeat of Africa and all of life itself. Through the “Peace? 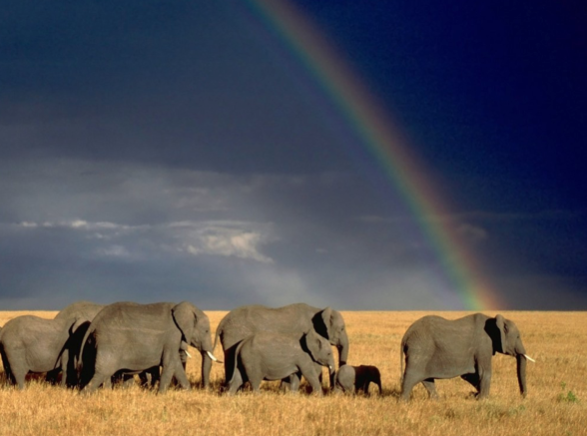 process you will heal the separation sickness and become one with your animal guides and Mother Africa. We’ll enter in to the power of story telling with the people and animals you have engaged with during the day and the game drives. We will continue the discovery process through experiential introspect and energetic clearings. We will complete the evening by activating your Diamond code through the Power of the Pride and the Leo constellation. “In this chaotic world of busy-ness we often lose track of who we are and what we most desire. On this guided walk, you will learn to notice the subtle cues from nature through the broken branches, fresh droppings and animal tracks so that you can find your own personal footprints and adjust your course to get where you want to go in your life. Through the energy fields of all things equal, you will expand your range of perception and awaken those signals from your body, to engage and receive messages from your surroundings so that you can create your phenomenal future. You are multi sensory and through observing predator and prey you will be able to apply the lessons and the power of the pride to your every day life, no matter what jungle you are in. We will debrief with the morning’s trackers and learn how to apply the subtle cues from nature so that you can begin to create your life in resonance with your core desires and presence. Continuation of morning Tracking your footprints practice. Continuation of the tracking practice and integration. We rise before dawn and flow from dark in to the light of a new day of possibilities and hope. Waking the Wild Animal within, will give you expansion in to flow dreaming and communion in the field of harmonious waves of patterns and thought. In your true nature, nature reminds you that there is a time and space for all things. Together we will bring it all together in to your unique body of work through creation, generation and institution. Birthing the insight, inspiration and ideas that are coming up from your sub conscious and transmuting them in to you big life plan. Together we will mastermind the power of the pride in our group. We will weave your life experiences and your modalities and areas of expertise in to your philosophy and magic mantra by using “I SOLVE?” – What you stand for and who you are here to serve – your pride or tribe. 11:30 AM: Embrace and engage in the Kingdom of WE. Creating BALANCE and long term sustainability of the natural resources and conservation of endangered species. The key to the survival of the planet is through education of local communities. The Seeds of Hope foundation shows you where your financial contribution in choosing a Journey on Ancient Soil gives back to grass roots projects through feeding schemes conservation and education programs across the Singita group – “Tread lightly? This game drive is about moving from the East – Air (Visionary) where you birth the vision of what is truly possible and into the direction of South Fire (Mentor). You will learn to feed the wild fire – to stand in the fire of your personal power and move through obstacles and challenges with ease and grace. Nature will provide you with the support and cues to receive everything as a gift—so that you can stand in your truth and translate that into your own personal ability to see resistance and doubt as a catalyst to problem solve and be the greatest version of yourself that you came here to be. A celebratory dinner! Expect the unexpected and raise your vibrations through uncontrollable laughter and a few tears of joy as your guides at Singita share their personal stories of insurmountable challenges and their own heroes journey. We explore how animals view sickness and the death and dying process. You will practice body scanning various animals for imbalance and how to contribute to their healing process. Through observing the balance and flow of the animals we will look at how learning about their perspectives assists us in our personal growth and transformation. We will discuss what the animals told you about how they view death and dying and then we will connect with those who have passed. You will take home a different point of view about the death and how to go beyond grief and missing you beloved human and animal companions through gratitude and allowance. 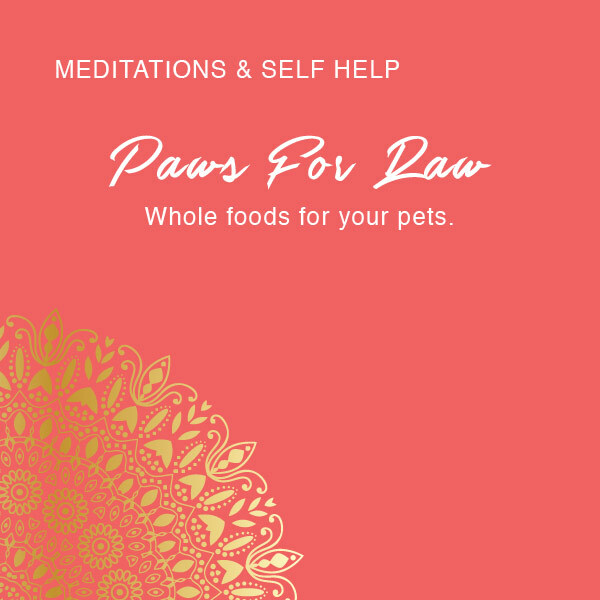 A guided meditation to amplify your intuitive process and connect with your animal guides and loved ones will conclude this session. Using Akashic record, team players, spirit guide and animal totems to deepen our understanding of soul contracts. Just like people, animals come in to this life to contribute change through soul contracts and their own agendas. We look at the ranking system and our own moral dilemma on life and death choices. As the women of the old world tribes ask the western women: “Why are you not telling your men when to stop taking more than you need?? How can we individually choose to be the guardians not the destroyers of the planet? 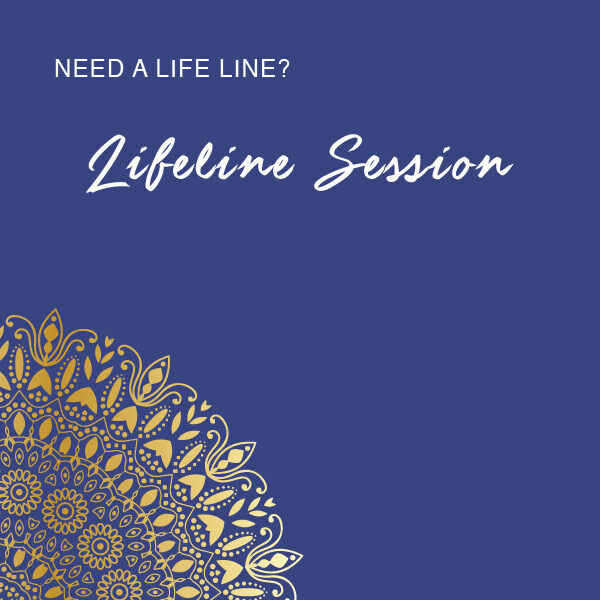 Embrace your own avatar in this intense but necessary session and soften your heart even more. Facilitating animals and the Earth. You will learn specific body processes that you can use from a distance and hands on, to contribute to healing. We will clear any limiting beliefs, attitudes and considerations that go beyond separation. How we can heal ourselves by clearing judgments, hierarchy and ranking systems across species, including the human design to compare, suffer and make yourself less than someone or something else. We will use verbal clearings to assist mental and physical ailments including abuse, PSTD and behavioral issues. We will integrate the lesson on soul contracts and seed thoughts by exploring why animals choose us, their purpose and lessons with us including past lives and soul contracts with us. Blessing for the collective species from farmed animals, elephant, lions, whales to the wild dolphins who are urging us to wake up even if it means suffering and extinction. Whatever your personal insights from the Journeys on Ancient Soil™ and Singita experience, Sarah-Jane and your tribe of 12 will ground what you have shared together in to your body and assist you in continuing your communion with each other, the land in continuing to practice and sustain your heart connection to your True Nature. We’ll send you off with group photos, heartfelt gratitude and a lifetime of memories, pragmatic tools relevant to your core desires and map for your phenomenal Diamond class life. What if you realized that you are the possibility this planet has for creating a world beyond judgment & destruction as a necessity? We trust you will emerge inspired and energised and with a deep longing to return. Here’s the thing about Journeys on Ancient Soil™—you will be in Africa with an entire TRIBE, an extended family at Singita, Lebombo completely dedicated to creating a magical, mystical experience for you. So while I am giving you a rough guide on what you can expect on your adventure, please know that this incredible team at Singita and I ask that you go with the natural flow of life and let go of form and structure. As we say here in Africa – everything happens “just now?…… meaning that here in this incredible place, everything is exactly how nature intended. Come with a childlike curiosity and an open mind and let Mother Africa wrap you in her warm embrace. You are totally supported and we are here to give you the best experience beyond what you could ever imagine. This truly is a place where magic happens. Journeys on Ancient Soil™ was nothing I could have ever imagined possible. You think that watching Animal Planet is like being there but it is so far from the experiential hands in, heart open adventure I had. To have the blend of 5 star luxury, delicious food and the rugged wild outside my bedroom window is totally surreal. Your experience at Singita Lebombo / Sweni will not only change you, it will change Singita. A portion of your investment goes directly back into conservation programs to repair the damage humans have inflicted on the animals and the eco system. This includes educating the local communities to see the importance of their role as the guardians of the land and the animals. I am on a mission to raise 1 million women’s voices rising by empowering women to claim financial futures, so that they can pay it forward to local communities through the Seeds Of Hope Foundation – to bridge the gap and connect women in 1st and 3rd world countries together through permaculture. 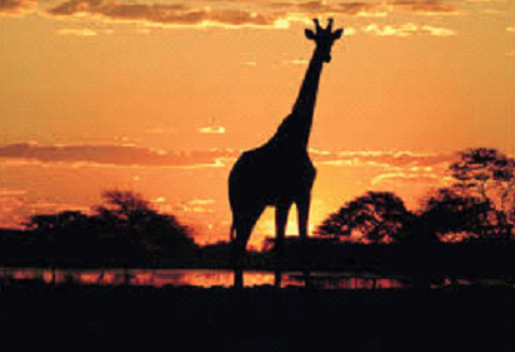 How is Journeys on Ancient Soil™ different from other African safaris or retreats? It’s always wonderful to experience the bio diversity of the African wilderness. However, Journeys on Ancient Soil™ takes you on a heroes journey inwards to Your True Nature and then, shows you what is truly possible, when you see your reflection in the outer world of Mother Africa through the 8 senses. Journeys on Ancient Soil™ has been meticulously created to guide you back to your True Divine Nature and deepen your heart connection to all things. Through every moment – awake and asleep you will remember to trust, honor and re-discover the joy of embodiment that is your one, precious life. This is so much more than a commercial safari – this is a deeply rewarding, luxurious, heart based transformational experience like none other. No detail to your personal attention will go unattended or unheard. What makes this trip out of this world extraordinary? Aside from a conscious workshop intensive like no other, the Diamond of the ANCIENT SOIL™ experience is Singita itself. The people of Singita are the guardians of the land and the animals here and their motto is to “tread lightly? The ambience of this magical location is beyond words–that’s why we are all ( people, animals and nature) inviting you half way around the world to experience it for yourself. The animals intuitively know that there is an honoring and reverence towards them. Where so much of Africa and the natural habitats are fading, here the sentients are great teacher – their response always forgiving, generous in truth, always inviting us to wake up to our own True Nature. Singita is simply Heaven on Earth – your home coming. Will I receive coaching from Sarah-Jane? You will not only receive personal attention from me during the coaching sessions, we will also share many adventures, meals, stories, celebration, laughter and vulnerability together as a tribe. This sacred space and energetic support of the land and animals is perfect to do the kind of deep, personal transformative inner and outer work I am called to facilitate. We can accommodate any level of physical fitness. You’ll have an opportunity to do activities (such as yoga or mountain biking or walking) at whatever pace feels comfortable to you. We will be doing meditation and some hands on bodywork during our time together and the Spa caters to your body’s every need. How will I sustain and implement what I learned about myself from Being Human through Animals – Journey on Ancient Soil™? You will have the clarity and your personal ascension plan mapped out before you leave. 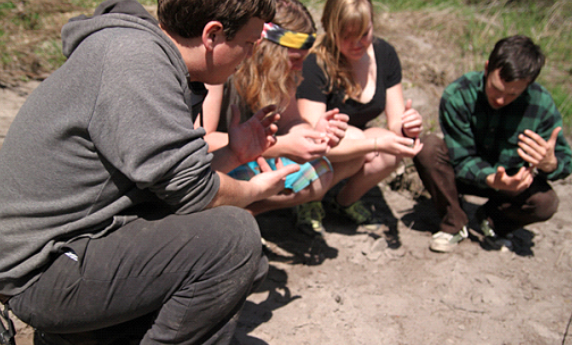 Participants often form lasting friendships that continue to benefit them after the Journey on Ancient Soil. You will also have 4 follow-up 60 minute group skype calls with me commencing the week after you leave, to support you in integrating what you have learnt in to your daily life and business. As my bonus gift to you, you will also receive a PRIVATE one on one 60 minute session valued at $300, with me. You can book this anytime within a 2 month period of your return home to clear any blocks and stops and keep you on track and excited about your direction forward. Is it safe to walk around the reserve? You’ll be asked to have a staff member accompany you if you want to leave the camp (for example, to jog) or walk around when it is dark. Though animals regularly pass through the camp, no one has ever been seriously harmed at any of Singita’s lodges because every precaution is taken to maintain your safety and that of the animals. When should I arrive in South Africa? How do I get to Singita? I recommend that you arrive in Johannesburg one to two days ahead of time to recuperate from jet lag. Your flight from Johannesburg to Singita and back will be booked by the Singita staff and is included in the package. You’ll arrive at Singita the first day of your Journey on Ancient Soil™ and depart mid-day at the end of the program. You must book and pay for your flight from your home to Johannesburg. Cheryl or Lisa at Travel by Arrangements will be happy to assist you with your flight, hotel, or with extending your trip. Can I arrive early or stay longer at Singita? If I’m coming alone, with whom will I room? If you registered for double occupancy, you will be assigned a roommate. The suites you’ll occupy are very spacious, and many people come on their own to expand their conscious connections with other people from around the world. Where can I get more information about flights, hotels, sightseeing, passports, etc? With the exception of return airfares from your hometown to Johannesburg, South Africa, hotel in Johannesburg, gratuities for the staff at Singita, and any incidental purchases, all expenses (including accommodations, laundry service, game drives, flight to and from Johannesburg to Singita/ Satara, road transfers between Singita airstrip and the lodge, tourism levy, meals and premium wines, spirits and liqueurs excluding FRENCH champagne and the Being Human through Animals program, manual and private and group mentoring) are included. Can someone who’s not on the Journey on Ancient Soil™ safari retreat share a room with me? Please note that only Journey on Ancient Soil™ safari retreat participants are allowed on this special stay. I have taken incredible care to offer you this life changing transformational Journey on Ancient Soil™ at an exceptional price that is both honoring of Singita and YOU. The game drives, meals and resources of Singita Lebombo have been tailored to exclusively accommodate the Being Human through Animals program separate to other guests who will be staying here at the same time as our retreat. It is possible for non-participating companions to make bookings outside of the Journey on Ancient Soil™ retreat, however I do not recommend it. Make this all about YOU, no distractions – so that you can be totally self centred and focused on your own inner work and personal transformation. You’re welcome to arrange to come early or stay on at Singita or another camp in the area and join up you’re your loved ones or friends in that time before or after Journeys on Ancient Soil™ retreat You can make those arrangements separately on a space-available basis. We give you the information on how to do that once your application is accepted and you’ve registered. What kind of clothes and shoes should I pack? Since September/ October is the beginning of Summer in South Africa, it will be hot when the sun is out and can get rather chilly in the early mornings and at sunset, so layering, a warm hat and a pair of gloves is recommended. The atmosphere and Singita is very casual and dinner is outside under the stars, so dressing for dinner under the big starry sky can get quite fresh so layers are recommended. Please note that Federal Air has a luggage limit of one bag weighing 20kgs (44lbs) per person, in a soft bag if possible. You may store additional bags securely and at no charge at the Federal Air terminal and pick them up after the Journeys on Ancient Soil™ safari retreat. Do I need to get any shots/immunizations? Singita Lebombo/Sweni is technically located in a malaria area, though the disease is not at all common there. You should talk to your doctor or travel health clinic about ways to prevent malaria (e.g. taking anti-malaria pills). For more information, go to the Centers for Disease Control website. I really want to come, but what about Ebola? There have been no cases of Ebola in South Africa. Please read this informative post from our friends at Rhino Africa for additional information. Let yourself be silently drawn into the space of fertile listening – the roar of the lions, the haunting rumblings of the elephants and the cries of hyena and fish eagle. Take a listen to this activation from the animals recorded on our last Journey on Ancient soil here.